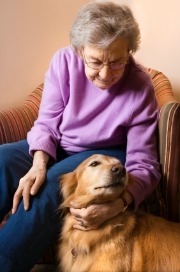 My story deals with assisted living and senior living communities. One of the challenges you may face in mid-life is supporting aging parent(s). And I’m reminded of my own vulnerability and mortality, in retirement. Retirement communities range from independent living communities without healthcare or assistance with daily living activities, to facilities with nursing care and support with medication, bathing, eating, and dressing. A retirement community is a housing complex designed for older adults. Has your dream of retiring to a beautiful location been let down by the affect of the economic downturn on your pension, savings, and investments. Looking for an affordable and beautiful retirement community? Mum was lying on the bed, waiting for me. My Sunday visits to the assisted living facility, began with the ritual of I don’t feel like going out to day, I’m too sick, but after a little coaxing she would say all right so, just for an hour, where are my shoes? I knelt down to tie her shoe and came up fifty years ago! We had just returned from Clifford’s shoe shop. I was sitting on a high chair and mum was kneeling before me. I wanted to fit the sandals myself; she was so patient and praised me when I succeeded in putting one on. I let her put on the second one! Tickling my foot as she did, causing great laughter for both of us. She lifted me off the chair; I felt taller - my first sandals! She asked me if they were comfortable, could I wriggle my toes. And as I disappeared out the door I heard her cry be careful, take your time! I look at her now, dependent upon assisted living, so frail, so small! An anxious look upon her face embarrassed that she has to ask for help. On a good day she grumbles about the Nursing Home, saying she’d be better off at home. Today there are no complaints, just weariness. People are living too long to day she says. How old am I now she asks? Nearly 90 I reply. That’s right she proudly says...the 9th of October 1911. I notice that her blouse is partly undone. I tell her awkwardly. She asks me to button it for her. And now I’m back again! Back then when we were young. It’s the morning of my first Holy Communion. I’m wearing a red sash with a golden pin and a medal with a blue and white ribbon is attached to my white jumper. Mum standing before me all proud and happy putting on my blue tie. I lift my head so that she can close the top button of my shirt, just as she is lifting her head now so that I can close her blouse. I wonder what memories she has. I don’t think about much these days she tells me. And when she dreams, what does she dream about? Does she ever think about when I was a small boy, when learning was fun for both of us and help was cheerfully given and accepted? I want to share some of those memories with her, but I don’t. I remember mum saying to me a long time ago that the old folks would go with the fall of the leaves or the coming of spring. She was young then, she could say it lightly. My thoughts are interrupted, she’s eager to get back to the Villas. But her eagerness is tempered by weariness. I place the Zimmer frame in front of her. I’d never manage without that she says. I rest my foot on it to steady it. She tries unsuccessfully to pull herself up. You’ll have to help me she says. The nurses say I’m not walking enough, did I ever think I’d end up needing assisted living. Seniors who remain fit and healthy can greatly enhance the quality of their lives in old age, and delay the need for assisted living. Please share your Retirement Stories and Anecdotes! Stay in touch and subscribe to my monthly email newsletter, Retirement Stories. It has stories and tips on planning for and enjoying an active retirement.